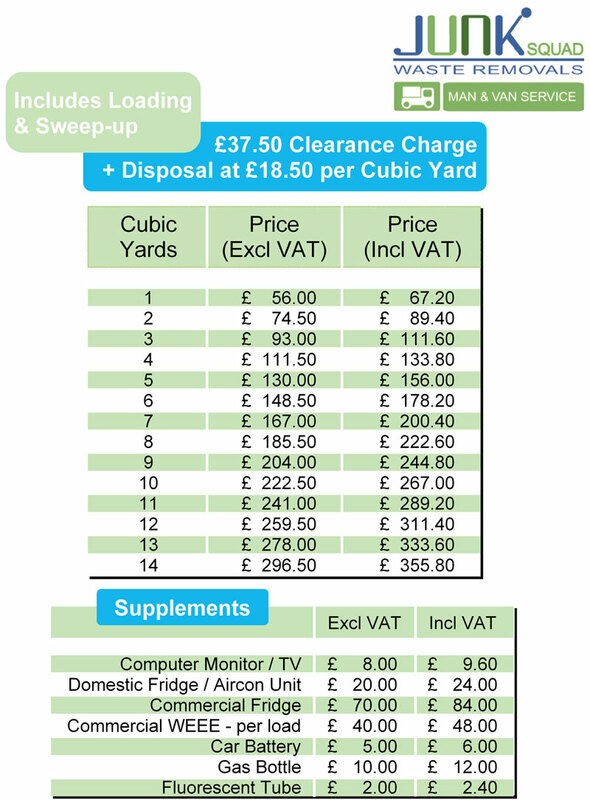 Domestic rubbish clearance... it's so easy! to arrange a free no obligation quote. We quote - we'll send out our team to give you a precise quote. If you are happy with the price we can take all your junk there and then, or arrange a more convenient time. Waste removal - Junk Squad waste removal team will load up the waste into the van and even sweep up afterwards. We recycle 85% of our waste at our very own recycling facility - with that much recycled you can be confident that you have chosen an environmentally friendly waste management company. 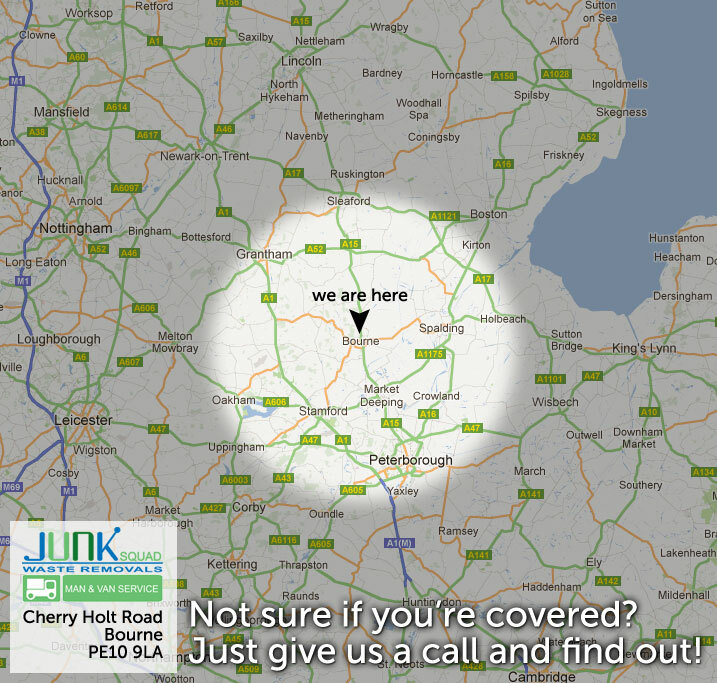 At Junk Squad we understand the needs of both our domestic and commercial waste customers. We specialise in garden and house clearance. No job is too small or too large, we provide the complete package removal service throughout Bourne and the surrounding area. In addition to this you can be sure that your waste is disposed of with the environment in mind – we pride ourselves on recycling up to 85% of household waste collected, and where recycling is not available we dispose of waste responsibly.